Brendan Griffith – the Fine Gael Kerry South candidate was elected on the fifth count. Peter Fitzpatrick – Fine Gael’s Peter Fitzpatrick was elected on the 13th count in Louth. Michael McGrath – the Fianna Fáil candidate was returned in Cork South Central on the 12th count. Charlie Flanagan – another victory for Fine Gael, as Charlie Flanaghan was elected on the eight vote on Laois-Offaly. 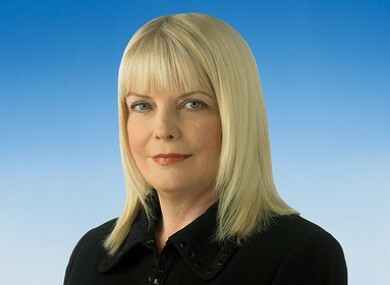 Mary Mitchell-O’Connor - the Fine Gael candidate was elected to Dún Laoghaire on the ninth count. Eugene Finnegan – in Wicklow, independent Eugene Finnegan was eliminated on the seventh count. No candidates have yet been elected in the constituency – where 24 candidate are running. James Carroll – the Fianna Fáil candidate has been eliminated in Louth on the 13ht count. Counting in Louth is now complete, and TDs are: Fergus O’Dowd (FG), Gerry Adams (SF), Séamus Kirk (FF), Ged Nash (Lab) and Peter Fitzpatrick (FG). Chris O’Leary – on the 12th count in Cork South Central, the Sinn Féin candidate was excluded. Pat Kavanagh – the independent candidate was excluded after the eight count in Wicklow. Gerry Kinsella – the independent candidate has been eliminated in Wicklow on the ninth count. Trevor Ó Clochartaigh – on the ninth count in Galway West, the Sinn Féin candidate was excluded. Email “The Half Past Fix: 2.30pm”. Feedback on “The Half Past Fix: 2.30pm”.